Home / Magazine / Blog / What is large format scanning? 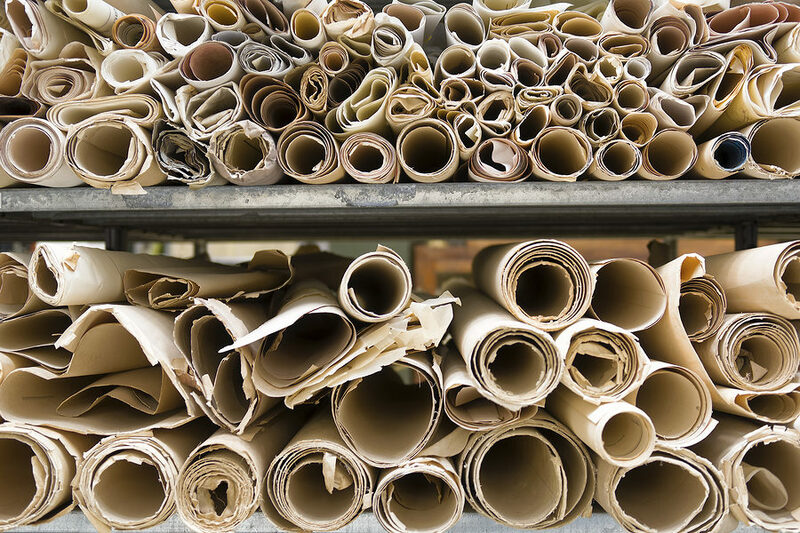 Large format scanning enables businesses, such as construction, engineering, or surveying companies to scan large format papers, such as A0, A1, A2, and A3 documents. We have a range of specialist scanning machines from some of the world’s best brands, which means we are able to scan a range of documents, from x-rays and photographs, to books and magazines. Why do companies use large format scanning services? There are a range of benefits for large format scanning, not only does it let companies make use of space that was once taken up with bulky and awkward files, but it also increases efficiency. For the most part it means that large companies can search for and locate important files within a matter of moments. This means that large companies are able to save sometimes thousands of hours a year, simply from the time they have managed to shave off through electronic searches and document management systems. From here companies can cut costs across departments, drastically improve workflows, and help modernise business practice. Are there any hidden benefits to large format scanning? One of the many benefits that people don’t often consider is the security aspect that the process offers to businesses. Due to the fact that the documents and files are placed on cloud databases and document management software, it means that they are located in highly secure digital locations and can be reached (if necessary) from any location in the world. This means that documents cannot be burned in fires, stolen from offices, or ruined from water damage. What’s more, we also provide a secure document destruction service for businesses that no longer require their physical documents once that they have been scanned. What happens during the scanning process? Firstly it is important to know that all our scanning services are bespoke, and each client has our attention tailored to their needs and requirements. Usually however, we have documents picked up in our very own tracked and marked vehicles, which then make their way to our facilities. Upon arrival all documents are marked against a roster, sorted, and made ready for the scanning process. Once that they are scanned, the electronic files are returned to the client via discs, USB sticks, or hard drives and are delivered personally to the client to ensure total security and confidentiality. After upload the files are easily searchable as we can sort the files depending on their titles, descriptions, reference numbers, or other identifiable terms and keywords. 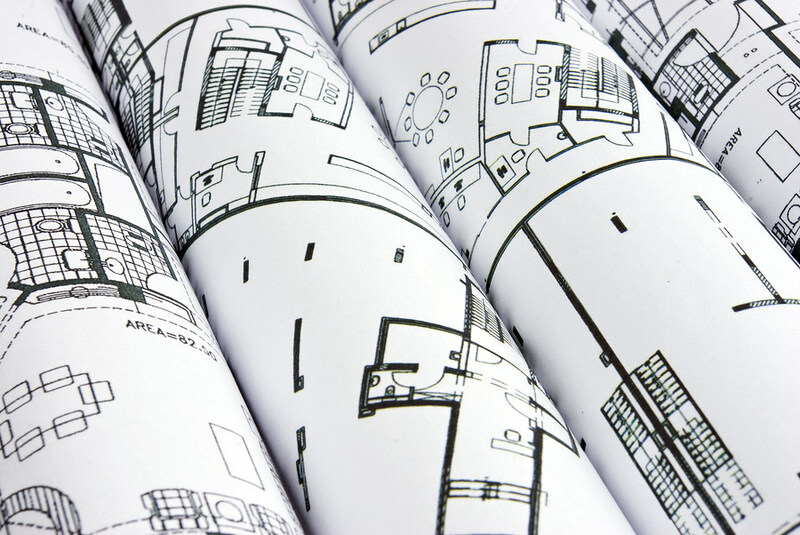 We can also offer a CAD conversion service for the scanning of large format drawings so that they can be converted to editable digital formats such as DWG, or DXF formats. What kinds of large format files does Microform scan? 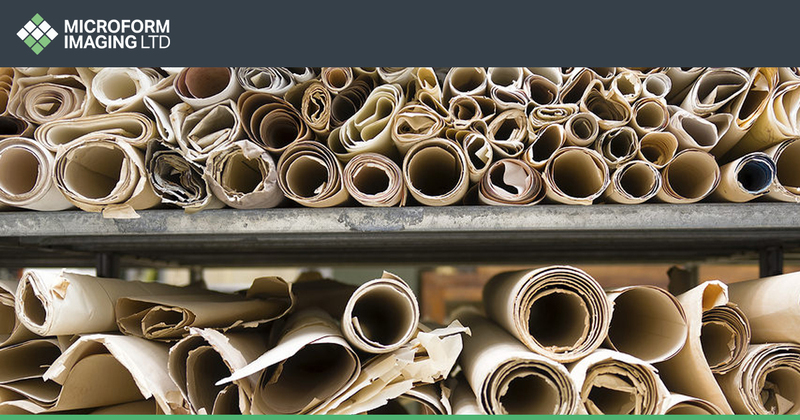 With over 60 years’ experience in the industry, Microform has worked with a large number of companies from a great range of industries, from medicinal through to educational and financial. This means that we are used to scanning highly confidential, private, sensitive, rare, and unusual documents. For more information about our large formatting services, check out our dedicated page or contact us at hello@microform.co.uk.